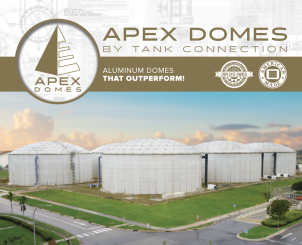 The primary tanks were constructed with flat steel floors and utilize aluminum dome covers. 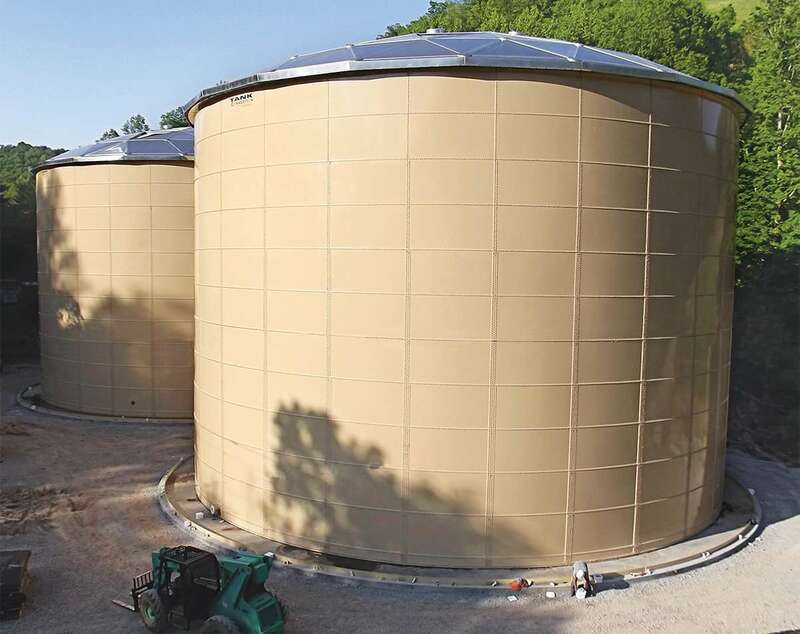 Turnkey field installation service, utilizing a synchronized, hydraulic jacking process, which allows field crews to install liquid storage tanks at grade level. 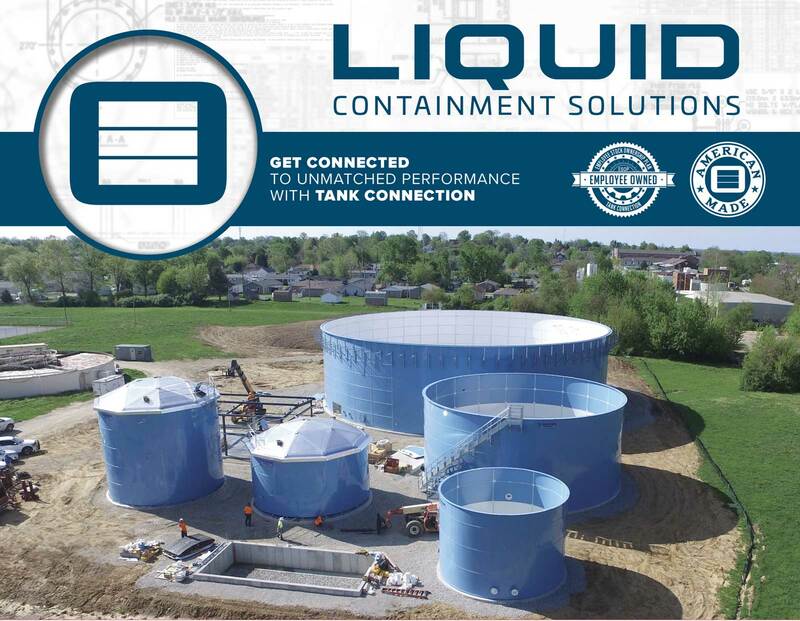 Tank Connection was selected to design, manufacture and install a turnkey package for over 4 million gallons of frac water storage. The customer owns and operates their own oil and gas wells and contacted Tank Connection to assist in finding the most economical storage solution for their frac sand operation. 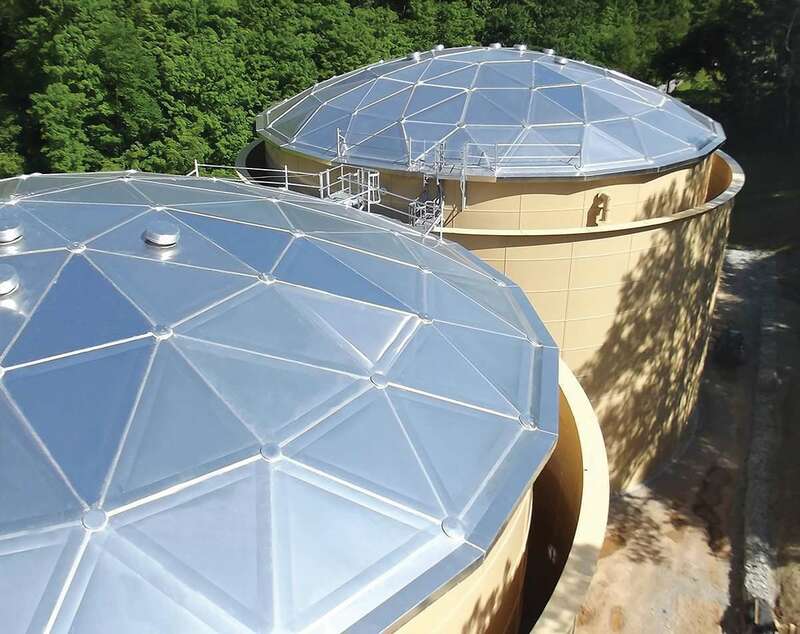 The tanks were designed to store frac water that was pumped from a local river. The water would then be pumped to different well sites to aid in drilling. The customer also required secondary containment in order to meet the local environmental regulations. The site location was restricted in size, so Tank Connection designed several different size configurations to meet the customer’s available space. Tank Connection provided both the primary tanks as well as the secondary containment tank. The two primary (inner) tanks were 80.21’ in diameter and 54.52’ tall and the secondary containment tanks were 89.13’ in diameter and 52.85’ tall. The primary tanks were constructed with flat steel floors and aluminum domes. The secondary containment consisted of tanks with embedded base rings (concrete floors). 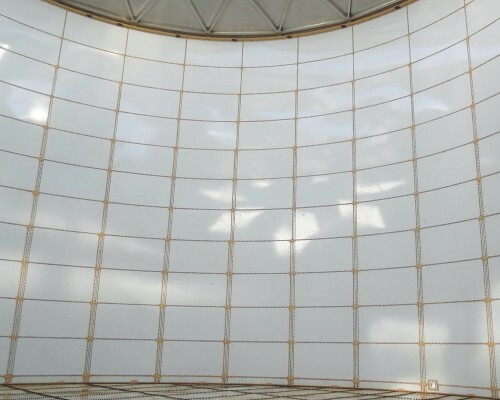 All of the tanks were built from grade level, utilizing Tank Connection’s proprietary jacking process, to ensure crew safety and maintain quality control Tank Connection’s field construction jacking process receives the highest ratings for quality control and safety in the field. 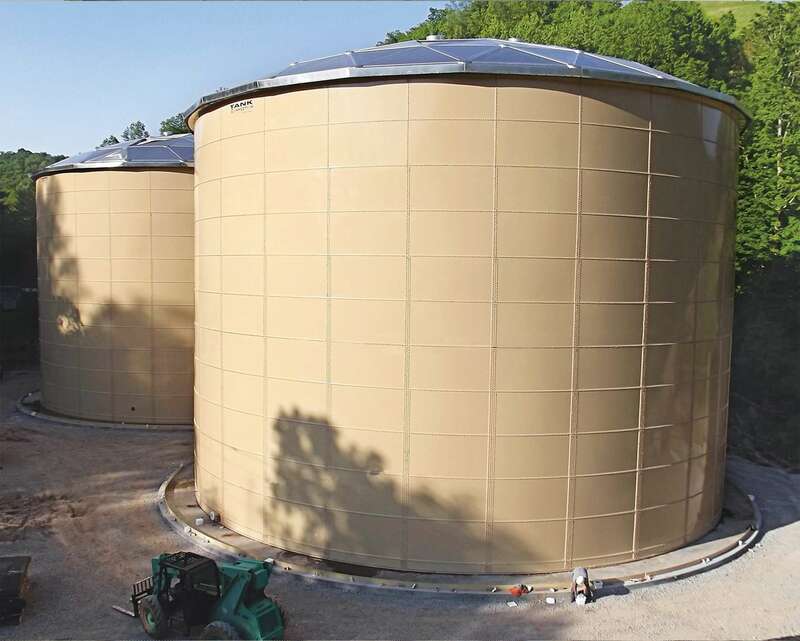 In addition, Tank Connection designed and installed the tank foundations and provided all accessories including piping between the tanks, in order to meet the customer’s requirements. 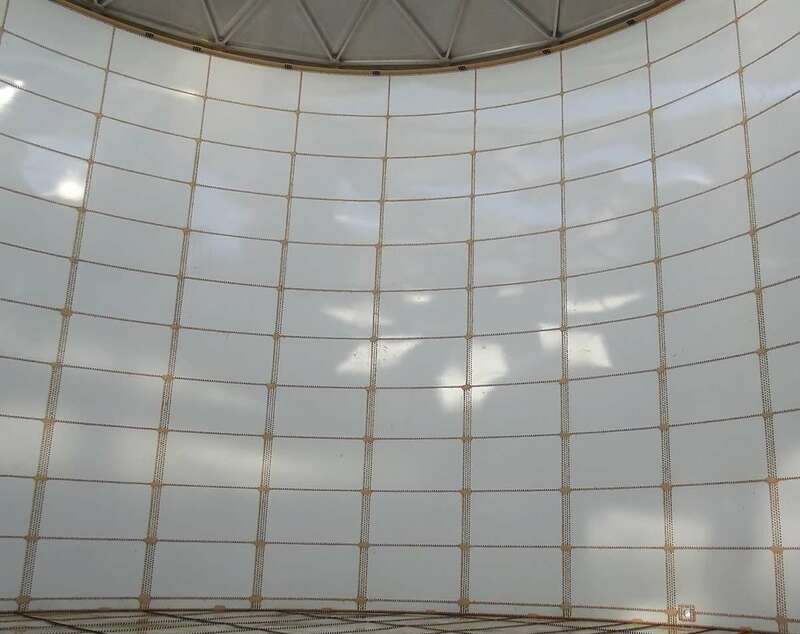 Only the EXPERTS in FRAC WATER STORAGE CONTAINMENT, Tank Connection Affiliate Group, could bring you aluminum geodesic domes that are designed, manufactured and construction better than competitor products.